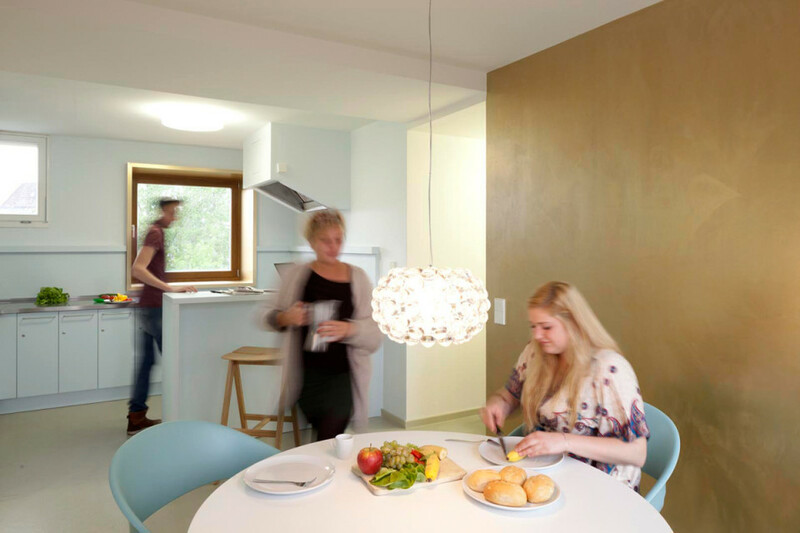 The fourth phase of construction for the Masterplan of the Student Halls of Residence Siegmunds Hof is now completed. The House for Music and Fitness-Lovers, with its 53 dorm rooms and apartments received a complete energy-efficient renovation, respecting the listed historical status of the building. In addition to the new design of the living-spaces and common areas, additional entrances were created which allow the basement to be used as a fitness studio and music rehearsal rooms. View the project House for Music and Fitness-Lovers here!